Many gardeners think January and February are best spent sitting by the fire while looking at plant catalogs and dreaming of spring. 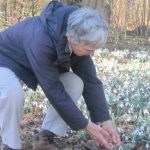 Those gardeners have not met Nancy Goodwin, who has spent nearly 40 years developing the gardens at historic Montrose, her home in Hillsborough, NC. Winter has always been her favorite time to garden. “Winter is my season; I just love it,” says Goodwin, her voice rising with enthusiasm. 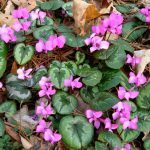 For Goodwin, the gardening year begins in November when the first hard freeze typically occurs in the Triangle area. She tires of hearing local weather forecasters refer to the “end of the growing season” just when her gardens are coming back to life after what are often hot and dry summers. 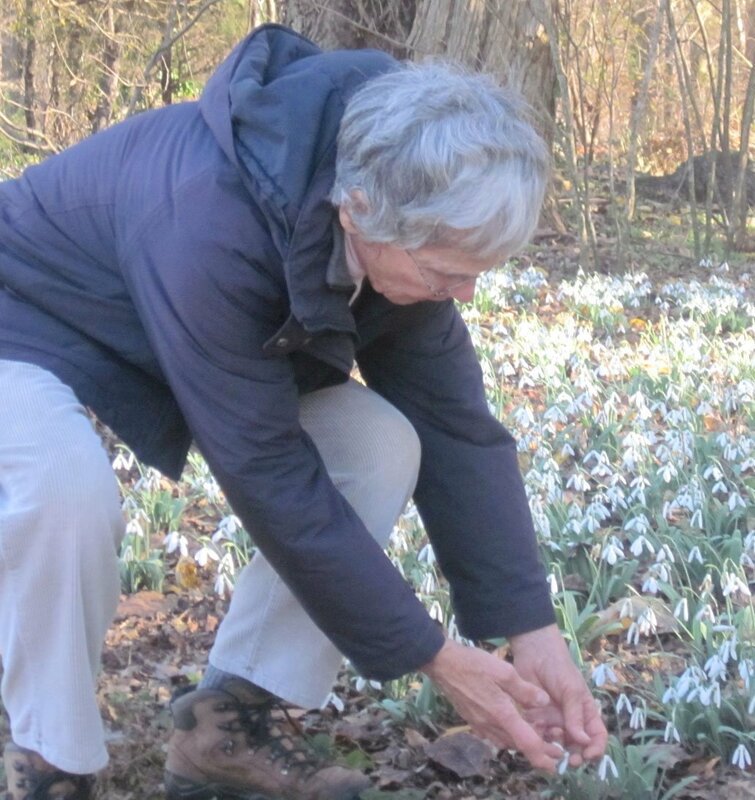 While Goodwin admits the frost-burnt stems of summer perennials aren’t pretty, she brushes aside leaf litter to reveal the grass-like foliage of Hoop-petticoat daffodils (Narcissus bulbocodium) that will remain green and fresh until the plants bloom in spring. 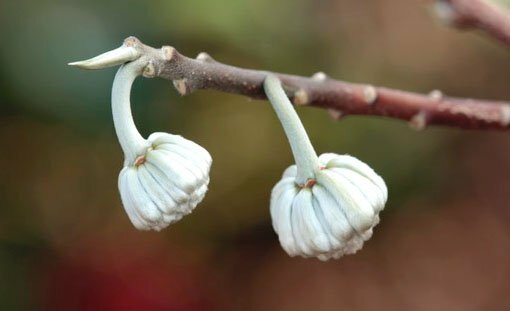 Anticipation and promise are characteristic of many winter-blooming plants. Goodwin points to golden paperbush (Edgeworthia chrysantha). 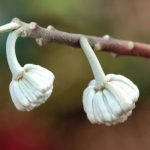 A shrub with attractive summer foliage, paperbush drops its leaves to reveal silvery buds that adorn the plant throughout the winter. 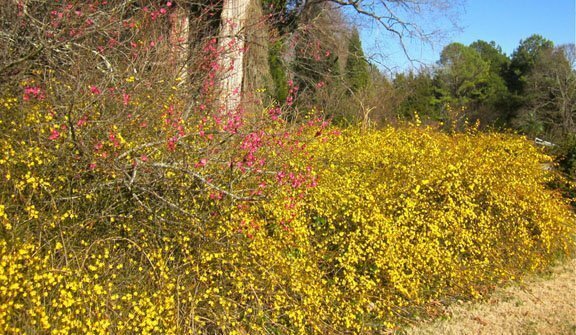 The buds become larger as the season progresses until late February or early March when they finally burst open into bright yellow flowers with the scent of honey. A “winter baby” born in January, Goodwin wanted flowers on her birthday. 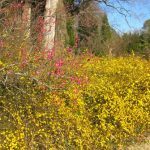 A planting of January jasmine (Jasminum nudiflorum) at her first home in Durham proved a reliable source for those flowers, but Goodwin didn’t stop there. A used-bookstore copy of Elizabeth Lawrence’s “Gardens in Winter” introduced Goodwin, while still a novice gardener, to scores of little-known plants that she was determined to locate and grow. 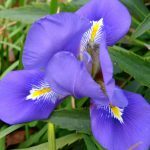 Eventually she found them all including Algerian iris (Iris unguicularis), which she grew from seed after years of searching. 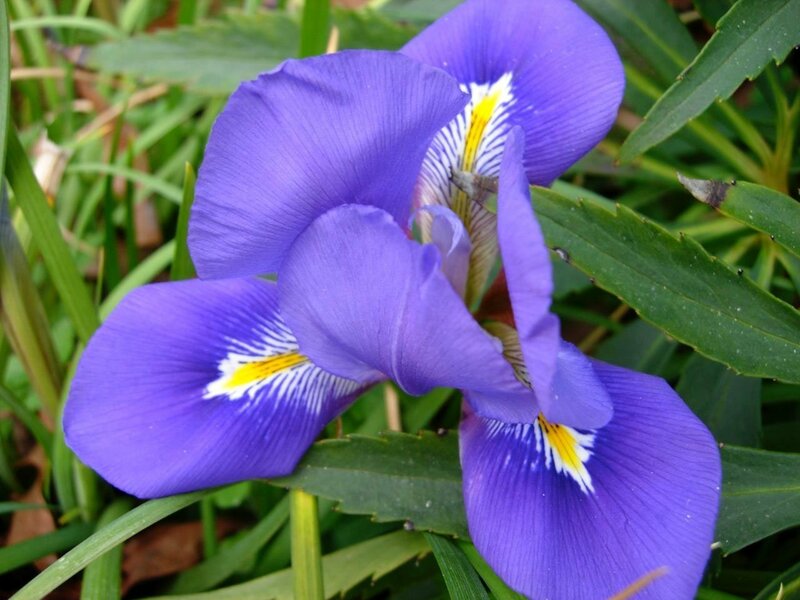 Drought-tolerant and deer-resistant, this low-growing iris produces fragrant flowers throughout the winter months. 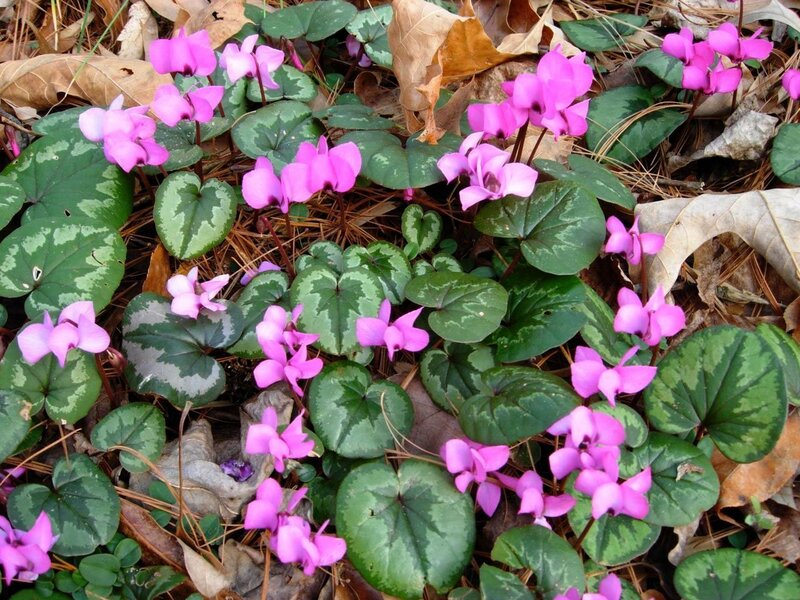 Winter plants and flowers have remained Goodwin’s primary focus. “Anything that’s really hurt too much by the cold, I don’t think is a good winter plant. It has to be able to take cold like the little bulbs, or the berries on the holly, ” says Goodwin. Although Montrose exceeds 60 acres, Goodwin can imagine a winter garden on a smaller scale. Even a small garden might have room for a holly with bulbs and other plants placed underneath. The Christmas rose (Helleborus niger) blooms from November until spring unaffected by weather. It is also a less aggressive seeder than the later-blooming Lenten rose (Helleborus hybridus). Montrose has open days at peak seasons and may be visited by appointment September through May. The garden is closed in summer. E-mail Nancy Goodwin at [email protected] to arrange a visit or for information about open days. Listed on the National Register of Historic Places, Montrose is a preservation project of the Garden Conservancy. Additional information about the garden is available at www.gardenconservancy.org/garden-preservation. Nancy Goodwin has written two books about gardening at Montrose: “Montrose Life in a Garden” (Nancy Goodwin, Duke University Press, 2005) and “A Year in our Gardens” (Nancy Goodwin and Allen Lacy, UNC Press, 2001).